The Caldecott Tunnel is currently a three bore east-west highway tunnel that connects Oakland to communities in Contra Costa County, through the Berkeley Hills. The idea of a tunnel through the hills was first conceived in 1860, and an early tunnel was built in 1903. Later, the first two modern bores were completed in 1937, named after Thomas Caldecott, mayor of Berkeley 1930-1932) and president of Joint Highway District 13. The third bore was completed in 1964. 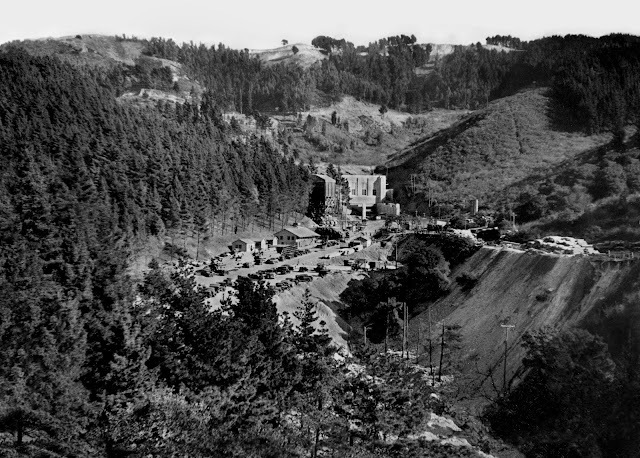 In the 19th century, traffic over the Berkeley Hills in this area went up Harwood Canyon, now known as Claremont Canyon (behind the Claremont Hotel). The road leading up the canyon from the west was initially called Harwood's Road, later changed to Telegraph Road, and finally, Claremont. The road on the other side of the hills was, and remains Fish Ranch Road. An inn once existed at the summit. The idea of a tunnel through the hills began as early as 1860. In that year, the idea was proposed and rejected by the citizens of Alameda and Contra Costa Counties. It was revived in 1871 with a proposal which described a route running from the end of Broadway, similar to the actual routing of today's Caldecott Tunnel although it isn't clear from the description exactly which canyon was being referred to. The proposed tunnel would be only some 500 feet long and would have its outlet in the San Pablo Creek watershed with a road leading into Lafayette. A franchise was granted to a group of developers who passed the franchise onto another group. The proposal languished until the turn of the century. In 1903, a tunnel was finally built above the present location of the Caldecott Tunnel, in the next canyon south of Claremont Canyon. This tunnel was approached by a new road dubbed "Tunnel Road" which started at the top of Ashby Avenue in Berkeley. 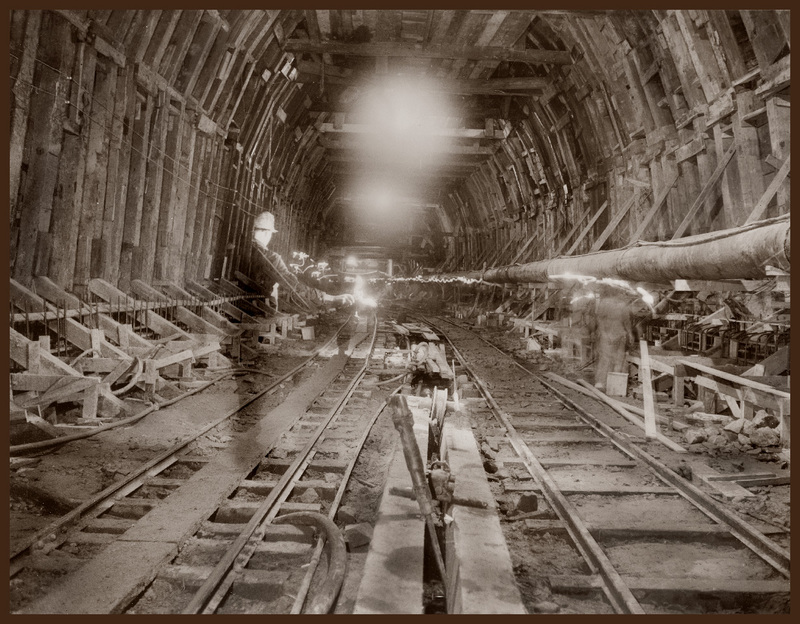 In 1929, construction of the first two bores of the Caldecott Tunnel began. They were completed in 1937, and were originally known as the Broadway Low Level Tunnel as the approach was from the top of Broadway in Oakland, and was below the portal of the old tunnel. However, access from Ashby Avenue was retained as it was designated the connecting thoroughfare from the Eastshore Highway (now Freeway) and the San Francisco – Oakland Bay Bridge, and dubbed State Highway 24. 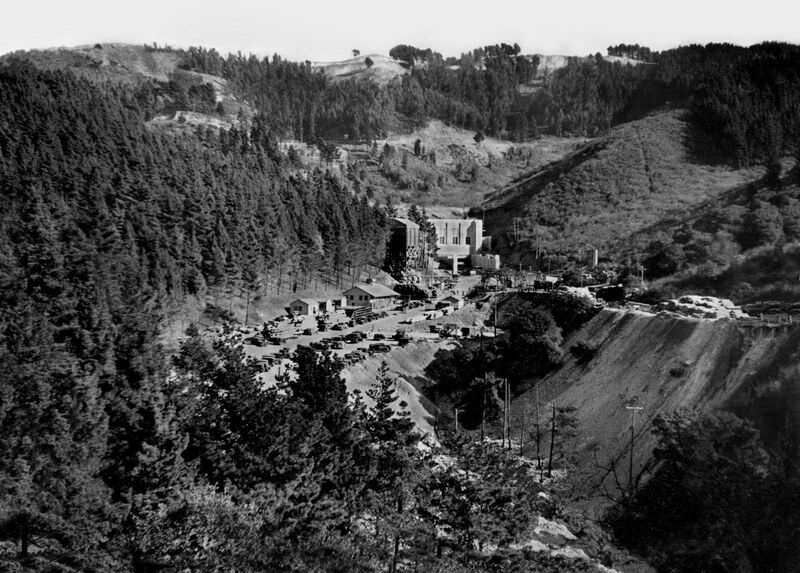 The approach to the east portal on the other side of the Berkeley Hills was via Mount Diablo Blvd., also at that time part of State Highway 24. The third bore was opened in 1964. In the late 1960s, the Grove-Shafter Freeway was completed and replaced Broadway as the main access route to the Caldecott Tunnel from Oakland as well as replacing Ashby as the principal connector for traffic coming from San Francisco. Ashby Avenue and Tunnel Road were redesignated State Highway 13 and aligned with the new Warren Freeway through the Montclair District of Oakland. The Grove-Shafter Freeway was then designated State Highway 24.